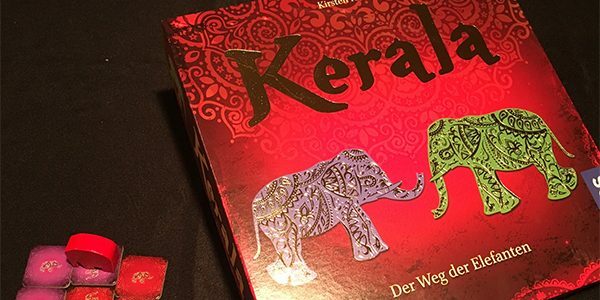 Kerala is a wonderful, light, drafting and tile-laying game for 2 to 5 players. Its puzzly nature works well for all player counts and for players of nearly all ages. This one is simple to pick up and play, and very satisfying not only because of its beautiful components, but also — and especially — due to its surprising crunchiness when it comes to fitting just the right tile in just the right position, or using a power to come back and repair some mistake or temporary stopgap you made in an earlier turn. Eddie has been writing about games on the interwebz for over ten years. You can find him Editor-in-Chiefing around these parts, or talking nonsense on Twitter @eddieinzauto.